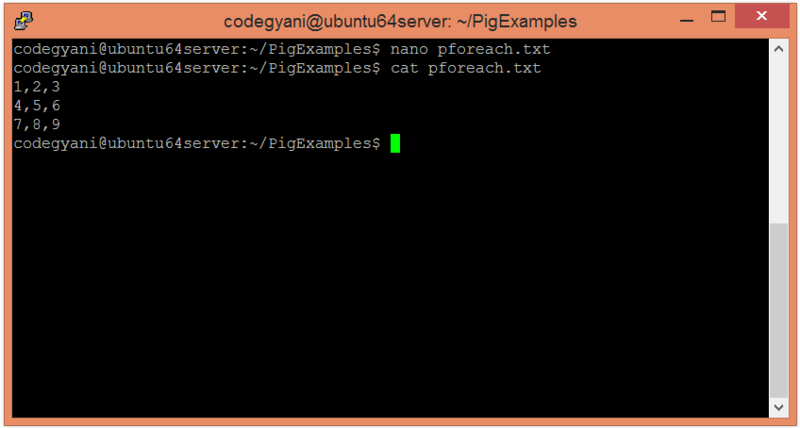 The Apache Pig FOREACH operator generates data transformations based on columns of data. It is recommended to use FILTER operation to work with tuples of data. In this example, we traverse the data of two columns exists in the given file. 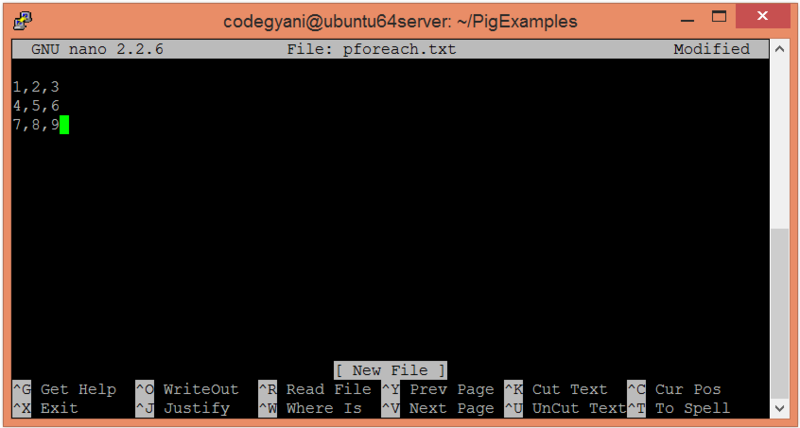 Create a text file in your local machine and provide some values to it. Check the values written in the text files. Let's traverse the data of two columns.